Our All Natural Boneless Ribeyes are the choice of steak connoisseurs. 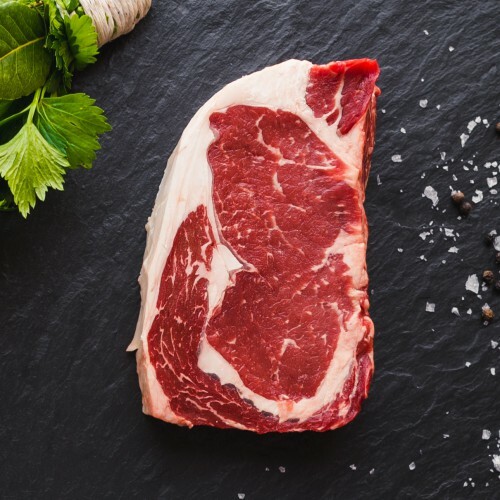 Well-marbled, and incredibly juicy and tender, these cuts have lower fat, calories and cholesterol than conventional beef; and even lower cholesterol than a boneless, skinless chicken breast of the same size. Like all of our cuts, this beef cooks far more quickly than conventional meat due to its high moisture content.